Brian Van Holt appears in two episodes of Entourage and plays a character playing a character by the name of Malone. 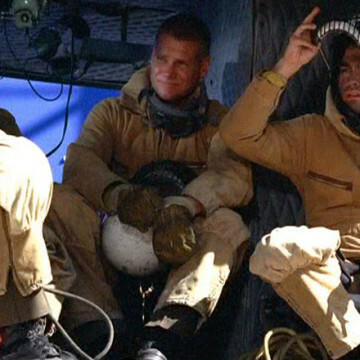 His Smokejumpers firefighter is introduced at the 16-minute mark in S05E09 and makes another appearance in the following episode as well. Brian’s best known for his role as Bobby Cobb on Cougar Town. Bobby is an ex-husband to Courtney Cox’s character.